Is it possible for somebody to be able to work and not be able to work at the same time? Actually, yes. Here’s some background. Under the Americans with Disabilities Act, and possibly under other state or local laws, your employer must provide you with accommodations (such as a wheelchair ramp) that assist you in doing your work, unless your employer can demonstrate that doing so would cause undue hardship. Whether an employer is required to provide a particular accommodation or not is a complex area of law. 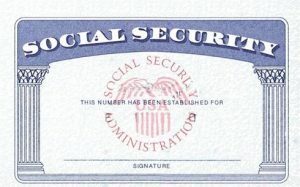 Although employers are generally required to provide accommodations only to qualified employees (that is, to those who can work), and Social Security disability benefits are available only to those who are incapable of substantial gainful employment (that is, those who can’t work), the Supreme Court has ruled that applying for Social Security benefits does not automatically exclude you from the protection of the Americans with Disabilities Act. This is because there are workers who are able to work only with accommodations from their employers. If you believe that you may fall into that category, it is very important that you obtain legal advice to preserve your rights under both sets of laws. To preserve your claim, it is also important to be honest at all times. Our firm can assist you with your application for Social Security disability benefits while you continue to seek accommodations from your employer or former employer.